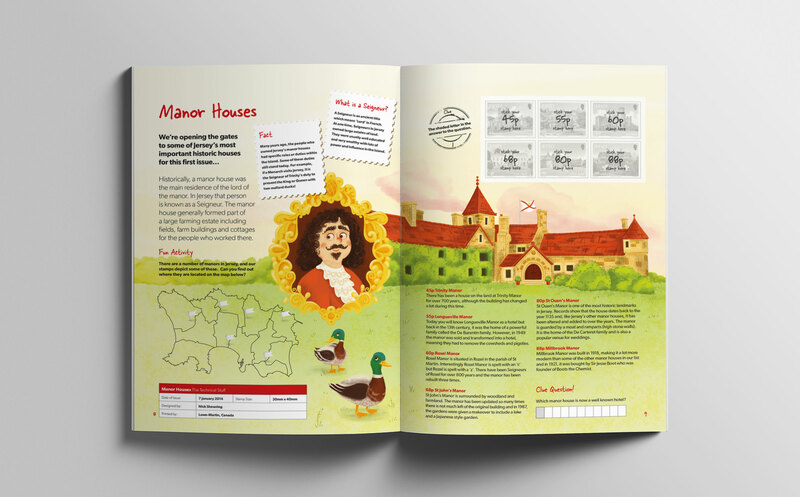 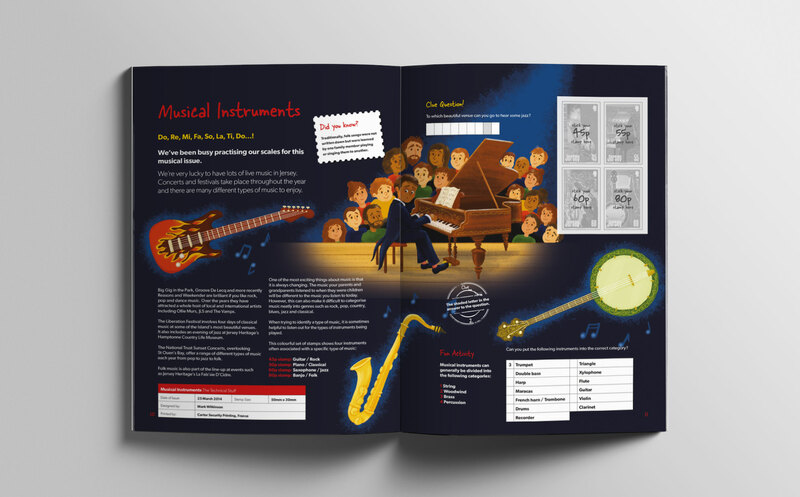 The Collectables is a free stamp album and activity book created by Jersey Post, delivered to Year 4 pupils across Jersey, designed to introduce schoolchildren to the traditional hobby of stamp collecting. 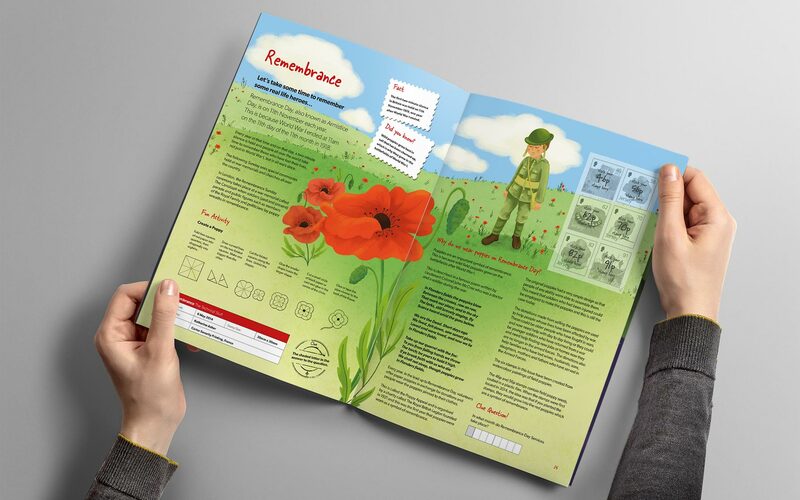 Stamps provide a fascinating insight in the country from which they’re issued and the book is a great learning tool designed to get children talking about stamps, and sharing and swapping. 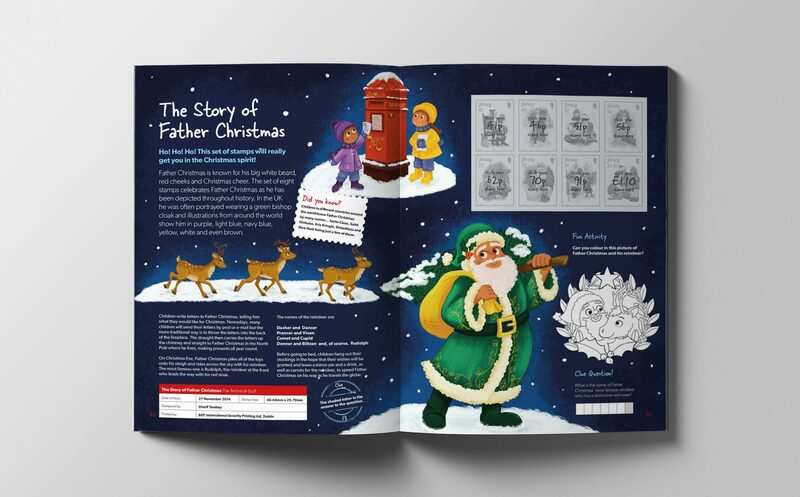 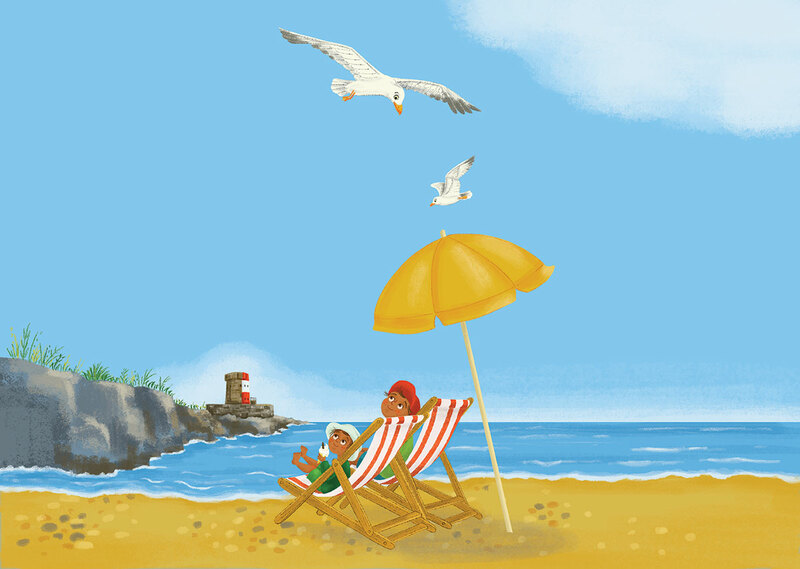 Working with children's book illustrator Nanette Regan, we created a bright, visual album with commissioned illustrations about 13 specific stamp issues; Jersey Manor Houses, musical instruments, William Shakespeare, Remembrance, D-Day, Jersey Summer, the Red Arrows, The Great War at home, Jersey's Roman connections, New Jersey, Oyster fishing, pirates, and, the story of Father Christmas. 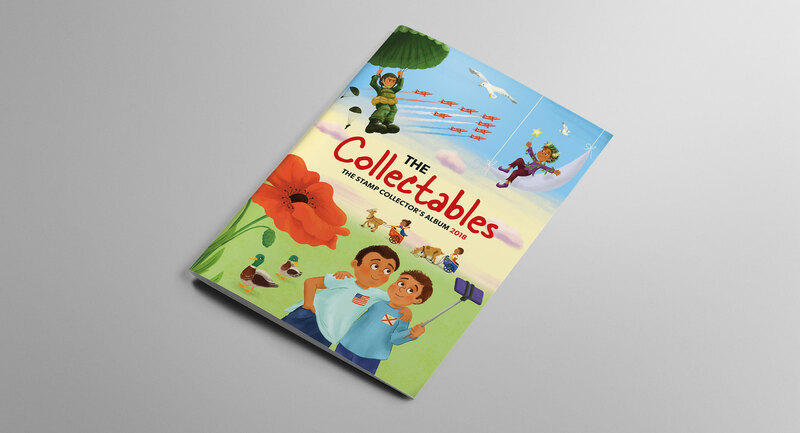 You can purchase the Collectables album from Jersey Post stores. 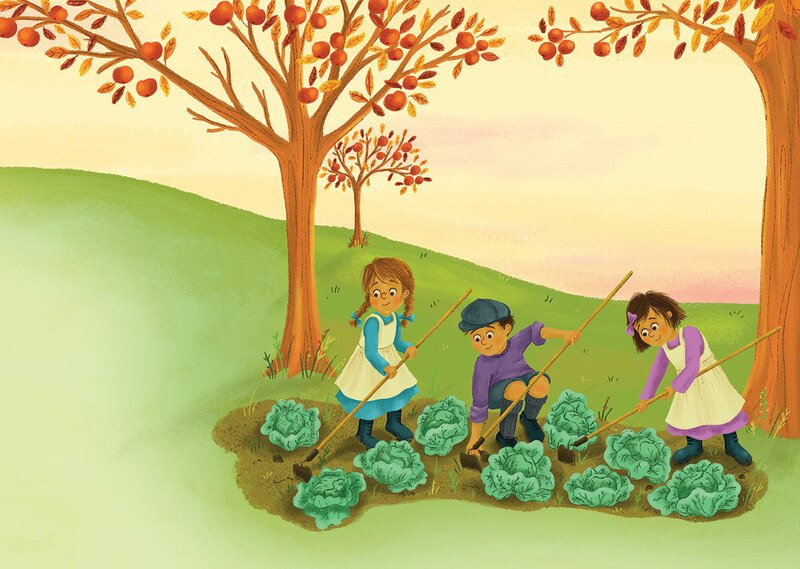 If you want to see more of Nanette's work click here.